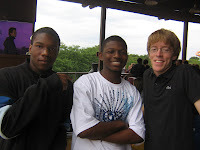 Yesterday, EL, Chris, and I chaperoned Cabrini Connections' annual trip to Six Flags Great America. Almost 30 students with at least 75% attendance in our program during the third quarter of 2008-2009 were invited to attend. 15 were able to make it and we all had a great time! I spent the bulk of my day with some familiar faces from our Tech Club: Savon Clark, Charles Hill, and Sean Mayfield. With a nice mix of clouds and sun, we were able to enjoy some great roller coasters (Raging Bull, American Eagle, and Viper) and two water rides (Roaring Rapids and Yankee Clipper). Joshua Vera joined our group, too, which was great because he has a working knowledge of the park. He's been coming for years and his mom even bought a season pass! Later in the day I met up with the other group of boys: Marcus Burks, Gregory Hatchett, Charles Kilpatrick, Patrick Mitchell, and Josue Rosque. We walked around for awhile but by the time we were in line for Superman, it started raining. The boys discovered a great alternative (bumper cars), but, unfortunately, as soon as we sat down in the cars, rain started blowing onto the track. We had to give in after that. Despite rain at the end of the day, all the students remained in high spirits. We got a good five hours in before bad weather and everyone got to ride their favorite attractions. The girls even took time out to play games and win prizes, including giant inflatable balls and stuffed animals (snakes to be exact). We have incentives throughout the year to help keep our students motivated, from small things like juice to big trips like Six Flags. Trips like this provide a unique experience and help instill students' positive associations with our program. Thank you for supporting Cabrini Connections and all that we do, from big to small. Please consider making a donation in preparation for the upcoming school year. 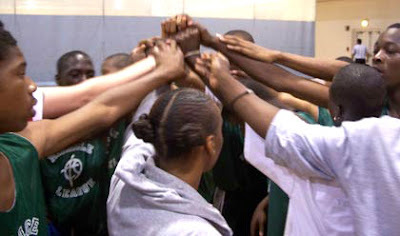 We know 2009-2010 will be a challenge financially, but we want to maintain our excellence here at Cabrini Connections. Help us reach our goal! Today Nicole and I got to visit another great organization on the west side of Chicago: Better Boys Foundation in North Lawndale. BBF has two main arms. Their family services program provides crisis intervention and counseling services to troubled youth while their out-of-school programs offer academic, social and recreational engagement year-round. Project LEAD (Leadership, Education, Academic Development) is BBF’s signature out-of-school time program and serves more than 80 elementary school children from five to 12 years old. BBF's After School Program serves teens and offers homework help, subject-specific tutoring, and college planning and preparation. In addition to simply visiting BBF's new home (which is beautiful, by the way), our main goals for this visit were to learn about BBF's summer programming and strategize ways to improve their volunteer recruitment for the upcoming academic year. Our point person, Director of Agency Advancement Mary Visconti, was a wonderful host. She embodies the passion that is responsible for BBF's success. They are lucky to have such a great leader! BBF is open 8:30am-5:30pm during the summer and runs a wide range of programming. Most notable is their Summer Apprenticeship Program, supported by After School Matters, which Mary calls a "brilliant model." Kids sign up for one of six 6-week workshops and earn a stipend for participating. Workshops include BBFTV, a group that creates PSAs for and about BBF, Community Spokespeople, a group that fixes and sells bikes, and Mural Works, a group that is currently creating a mural for the BBF Community Center courtyard. BBF's most popular groups are tapping and film. We got the chance to visit tapping practice and they put on a show for us! Check out the video below. The film group is working on a short film to be played before a screening of Hoop Dreams, a 1994 documentary about two Black high school students in Chicago who want to become professional basketball players. In honor of the 15th anniversary of its release, Kartemquin Films is partnering with BBF to host a community screening. Like the tapping group, the film groups does not just operate during the summer. They meet three times a week during the year, too. They work with flip video cameras and they edit on Macs (BBF has more than 60 of them!). I look forward to learning more about their film group as Cabrini Connections prepares to start its new Video and Filmmakers Club on August 10th. As successful as some of BBF's extracurricular programming is, they still need help with academic assistance. In particular, they are desperately seeking algebra tutors. They also need more mentors for their on-site Big Brothers Big Sisters program for which there are 15 kids on the waiting list. Hopefully, with some Tutor/Mentor Connection insight, Mary will be able to get more volunteers. We've already suggested that she get in touch with students at the University of Illinois at Chicago. 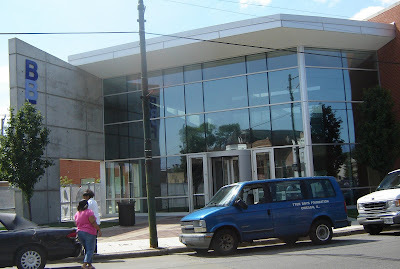 It's very close to North Lawndale and we know their engineering students are good at algebra! "Once we get them here, I know they will fall in love," says Mary. As a first-time visitor, I can totally relate. The students and staff at BBF are all very warm and welcoming. They're ready for you. Will you answer the call? Today Nicole and I had the pleasure of visiting an incredible organization on the west side of Chicago: Breakthrough Urban Ministries in East Garfield Park. 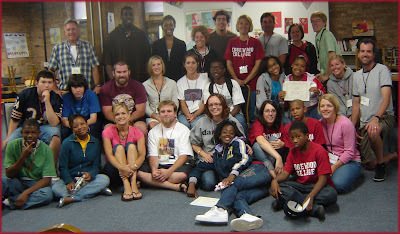 Our mission was to visit their Summer Studies program for grades K-8, but in doing so we were exposed to so much more. In addition to pre-school, after-school and college prep services for youth, Breakthrough provides support on emergency and long-term bases for women in crisis and homeless, unemployed men. They provide overnight shelter for 60 men and women and daytime services addressing employment, housing, and healthcare for countless others. They do it all! Our guide for the morning was Chief Operating Officer Bill Curry. In 2000, Bill and his wife, Marcie, established the Youth and Family Services Program that we visited today. The program offers after-school tutoring, arts classes, bible study, sports leagues, and a technology center. 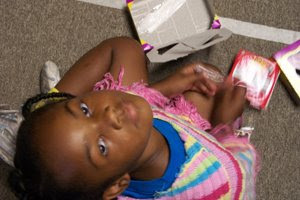 85 grade school children attend the after-school program while 67 are currently enrolled in Summer Studies. During the year, 65 volunteer tutors come to Breakthrough each week and usually work with 2-3 kids each. More than half of those volunteers come from colleges like North Park University, University of Illinois at Chicago, or Moody Bible Institute. Additionally, they found a creative way to maintain connections with universities and colleges. For the whole year, each grade in the program is a different college (i.e. 1st grade is DePaul, 2nd grade is University of Chicago, and so on) and eight local high school students (who are employed year-round at Breakthrough) act as presidents of those groups/"colleges." What a way to expose youth to higher education and, at the same time, offer unique, internal leadership opportunities. Great idea! Another interesting element at Breakthrough is their network model for youth development, which encourages several individuals to invest in each boy or girl. This model is somewhat of a reaction to turnover problems found with one-on-one tutoring. Because so many volunteer tutors are young, their lives are unpredictable. 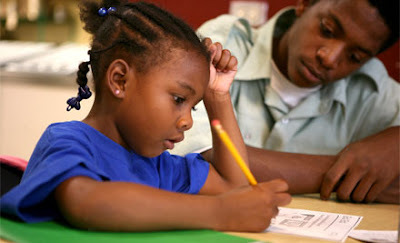 For example, they may get a new job and move -- a major event that draws them away from the responsibility of tutoring. In order for one-on-one matches to be worthwhile, many studies say they must last for at least 12 months. Otherwise it may have a null or negative effect as the tutor's disappearance is seen as abandonment. The group mentality of the network model serves to counteract that. Breakthrough tries to surround each boy and girl with at least seven caring adults. If circumstances remove a volunteer from the program, there is a network to fill in for him or her. This relieves the perceived pressure of a one-on-one relationship and also helps ease guilt as some tutors feel so bad for leaving one child that they become permanently reluctant to reach out to another, and we don't want that! There is no doubt that Breakthrough does a great job. They will soon break ground on a new $12 Million medical and recreational center, future home of youth and family services. They will be able to increase their pre-school enrollment from 15 to 60, after-school from 80 to 200, and sports from 325 to 1050. The facility will also house a fitness center and a health center run by Lawndale Christian Health Center. Bill is the mastermind behind a lot of these accomplishments and I would like to thank him for so graciously welcoming us this morning. He is the real deal. He and his wife live and work in East Garfield Park. They work from the inside out, not the outside in, and I commend them for that. I look forward to keeping in touch as they continue to flourish at Breakthrough. The 14th Annual Jimmy Biggs Memorial Cabrini Connections Golf Benefit, held on Thursday, July 16, at Highland Park Country Club, was a tremendous success. 97 people played golf and more than 120 attended our dinner and silent auction. I would like to personally thank everyone -- volunteers, students, staff, board members, donors, everyone! -- who helps write and tell the Cabrini Connections story. Attendance at the golf benefit was a huge show of support for the work we do and the goals our students attain, none of which would be possible without your generous donations. 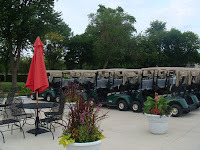 As I arrived at the country club in the morning, I could feel the excitement. Rows upon rows of golf carts were awaiting our departure and as each foursome checked in, they looked truly happy to be there. It was nice to put a face to some of our benefactors -- people that really believe in the power of tutoring and mentoring and, specifically, our work. I would especially like to thank Bill Iwami for so graciously welcoming me. In my first two weeks at Cabrini Connections, Tutor/Mentor Connection, I have met so many people that the task of meeting more can seem overwhelming at times. I was anxious to meet everyone at the golf benefit, but I was also nervous about the sheer number of names and stories to absorb. Anyways, Bill was one of the first to greet me and tell me about his involvement with Cabrini Connections, Tutor/Mentor Connection, and the golf benefit. It turns out that he is on our advisory council and has been coming to the golf benefit since its first outing. He has a good sense of the trajectory of our organizations and the principles that drive us. It is very reassuring to know that others "get it" and that they are actively helping us make a difference. Thank you, Bill. For the afternoon I was assigned to co-supervise Hole 11, one of four par 3s that were a part of the hole-in-one contest. The prize? Round-trip tickets for four to Ireland. $10,000 was the prize on another hole. There would be no stroke of luck, though, as yet again no one made a hole-in-one. Everyone did, however, have a great time. The sun was out, and as each group passed by our hole, I could tell they were in high spirits. 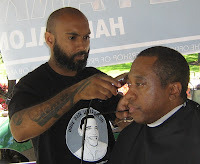 In the middle of the day I ventured over to the 3rd hole to see Ismail Coye, President Obama's personal barber and owner of Hyde Park Hair Salon. He was offering free trims and shaves. I started to chat with him and, very quickly, we began to share life stories with each other. He was very open about his life, as was I with mine. He shared some of his opinions about life and art. I really value that coversation and I hope to stay in touch with Ismail as I continue my work at Cabrini Connections, Tutor/Mentor Connection. As play came to a close, the only unfortuante episode of the day occured. Our President and CEO, Daniel Bassill, suddenly became sick and had to be sent home. Dan consistently gives 110% to support our organizations and tutoring and mentoring, so I know his affliction must have been very serious. Thankfully, a former student and her friend volunteered to drive Dan home and I am happy to report that he is feeling better. We wish him the best as he continues to recover. Though we were sad to lose Dan, the night had to go on! -- and it did in wonderful fashion. More than 120 people turned out for a catered dinner of salad, ham, chicken, ribs, cornbread, dessert, and more! After a long day on the course, I think everyone was satisfied by the offerings. As dinner went along, so did the silent auction. In the end, more than 60 items were auctioned off including a plethora of signed sports memorabilia. Thanks to all of the businesses and individuals who donated items and to all of those that won. Enjoy! Thanks again to everyone involved in the golf benefit in any way. Even if you were unable to attend or make a contribution, you can still help by sharing our story. Share this story. Share our web sites. Share personal stories. The more we talk about tutoring and mentoring, the more its value will be recognized and the necessary funds will be donated. As we approach the 2009-2010 academic school year, I hope you will join in our mission. Thank you. As our Annual Jimmy Biggs Memorial Golf Benefit approaches tee-off tomorrow, I can't help but think, "why it is important?" We're not going just to golf, though that will be fun. We're representing something more. Our presence (your presence?!) tomorrow represents support for quality tutoring and mentoring at Cabrini Connections and programs like it throughout the Chicago area. Mentorship at any age is indisputably a valuable relationship. Think of a time in your life when someone took an interest in you; when you looked up to someone for advice; or when someone simply listened to you. Now imagine having that experience right now as a school-aged child in Chicago. While other factors in your life are unpredictable and unreliable (economy, education, safety, etc. ), Cabrini Connections remains constant. 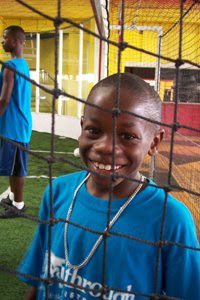 We foster rewarding relationships that have effects far beyond our physical space. Quality tutoring and mentoring impacts students' academic performance, relationships with family and friends, self-concept, and more. Our mission is to make a life-changing difference for youth. Please considering donating or, at the very least, spreading the word about the value of tutoring and mentoring. As always, I encourage you to check out the Tutor/Mentor Connection web site to learn more about how YOU can make a difference. Thank you. As fresh eyes here at Cabrini Connections and the Tutor/Mentor Connection, I am tasked with learning the organizations and my role in them. On the one hand, I want to get to know our students and volunteers of which there are more than 150 combined, and on the other hand, I want to understand concepts in the field of tutoring and mentoring and how our work - past, present, and future - fits into that conversation. Though such an orientation may seem daunting, I am well positioned for a swift familiarization. Resources here are endless! Cabrini Connections' historical record is exhaustive. More than 60 students and volunteers have been showcased in our spotlight, and I have already met several of them as they frequent our center over the summer. 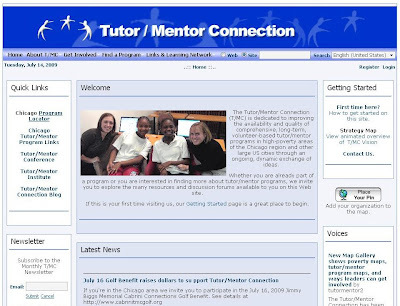 The Tutor/Mentor Connection web site is an invaluable asset. You can search an interactive map to find locations of tutoring and mentoring programs in the Chicago area. Mike has created a gallery of maps that look at relationships between poverty, community resources, school performance, and locations of non-school tutoring/mentoring facilities for K-12 students. The greatest wealth of resources can be found in the Tutor/Mentor Learning Network, a collection of articles, links, news, maps, and more, all related to volunteer-based tutoring and mentoring. I encourage you to check it out. If you are unsure where to begin, start by skimming the various sections. Find a topic that interests you. Explore the articles section to get background on the subject. Use the program locator and maps area to find real programs and statistics to inform your findings. As a newcomer myself, I understand that the information can be overwhelming, but I am also proof that with a little persistence, you can learn a lot. I am really starting to understand the value of tutor/mentor programs. I hope you can too! 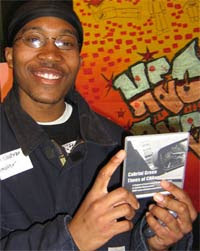 When I signed on to work at Cabrini Connections I was especially excited about the prospect of sustaining Innervision Youth Productions (IYP), a video creation project that began in 1996. At Northwestern I spent a year in the Radio/Television/Film department going through their core curriculum of media studies and production courses. Movies have always been one of my greatest pleasures, so naturally I enjoyed learning about the filmmaking process from script to screen. Furthermore, exposure to an ample amount of social issue media cemented my feeling that film can be an agent for social change. Films do not have to be an escape. They can represent reality and command action. And now, with increased access to video equipment and the internet, almost anyone can create and view movies. IYP aims to capitalize on this enterprise to tell the story of Cabrini Connections and its students. For the past 3 years a group of teens have been working on a video documentary of the changes in Cabrini Green and the impact of living in public housing on the lives of our teens and families. Volunteer Rebecca Parrish of Interchange Productions facilitated them through the process and helped them learn the skills needed to make the film. A portion of their documentary, "Cabrini Green, 'This is What I Know': Our Lives, Our Truths, Our Stories," can be viewed below. Copies of the full 26-minute movie are available on DVD for a donation of $15. E-mail me if you would like to place an order. Cabrini Green, "This is What I Know" from Rebecca Parrish on Vimeo. As that project came to an end, though, IYP was left on hiatus. A new volunteer was needed to lead the group and provide access to equipment. On my second day on the job, that person dropped right out of the sky and into our office. 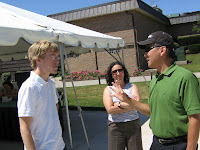 Michael Alexander, president of Conscious Planet Media, plans to lead the new Video/Filmmakers Club into the 2009-2010 academic year. Mr. Alexander has spent several years now producing and hosting original TV content for the conscious marketplace and his company is creating the first Platinum-LEED Green TV Studio at Chicago's Green Exchange. The new club will tentatively work on a 10-week schedule. Six weeks will be devoted to lessons in storytelling, editing, audio, etc. and four weeks will be devoted to a project. The first project will likely be a documentary on our program with interviews from students and coverage of our events. Ultimately the club will work as a training program. Students who complete the curriculum will, in coming quarters, help train new members. Experienced students will also have the opportunity to hone in on the duties they enjoy most, such as cinematography or lighting. Eventually the Video/Filmmakers Club may also collaborate with other clubs. 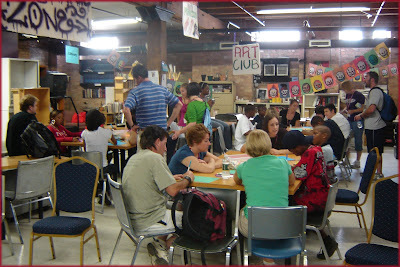 The writing club could write a script; the tech club could create graphics for post-production; and the art club could design costumes and sets. In the long term, one of our goals is to have a self-sustaining movie crew. For any event, we could mobilize our club members to document the occasion and sharpen their skills in the process. Such training also puts them in line for a host of jobs in the future. The filmmaking business continues to be lucrative and is even expanding as more and more videos are produced for the internet. As the new media revolution carries on, we want our students to be competitive in the marketplace. Best of all, it's fun, too! I can't wait to get started! The summer club will have its first meeting on Monday, July 27th. If you would like to help support this program, either by making a monetary contribution or volunteering your own skills or resources, please contact me. Thanks! Hello, everyone. 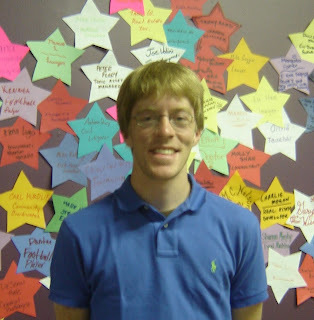 My name is Bradley Troast and I am the new Assistant Program Coordinator here at Cabrini Connections, Tutor/Mentor Connection. 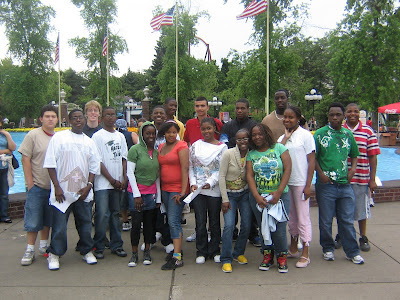 Cabrini Connections is a grassroots non-profit organization that provides quality tutoring and mentoring to educationally disadvantaged youth living in the Cabrini Green area of Chicago. 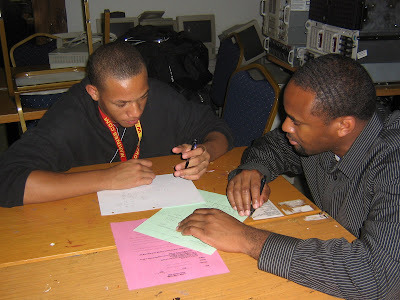 The Tutor/Mentor Connection provides an organized framework that empowers and encourages the creation of life-changing solutions for children in educationally and economically disadvantaged areas. I am very excited about the upcoming year and I look forward to making a difference in the lives of many. My one-year fellowship is established by the Northwestern University Public Interest Program, a program that helps train a new generation of leaders for social change through public interest work. I am the successor to two other fellows at this site, Nicole White in 2007-2008 and Chris Warren in 2008-2009. Nicole still works for the Tutor/Mentor Connection as the Research and Networking Coordinator. Chris is moving on to work for a non-profit school in Guatemala. I would like to thank Chris for all his help during my transition and I welcome any of you who may have been following his blog. From all accounts, he did a fantastic job this past year. I have big shoes to fill! A little more about me... I graduated from Northwestern University in June with a degree in Communication. I began my studies in the Honors Program in Engineering and Journalism, transferred to the Department of Radio/Television/Film in the spring of my freshman year, and added a concentration in Communication Studies to begin my junior year. That seemingly arbitrary combination leaves me with a major in Interdepartmental Studies. The way I always describe it is that I created my own major... as I went along. All in all, it worked out for the best and I am confident that I will always look back fondly on my time at Northwestern. As far as community involvement, I have always taken an interest in social issues and volunteered my time in different capacities. My most rewarding experiences came as a member of Northwestern Community Development Corps (NCDC), a student-run organization that seeks to engage students in community development at NU, in Evanston, and throughout Chicago. Utilizing existing skills, talents, and abilities, NCDC strives to build mutually beneficial relationships, enriching both the campus and the surrounding communities. I was involved with NCDC for all four years at NU (as co-chair in my senior year) and, during that time, I was witness to countless accomplishments. My experience with NCDC and other civic engagement groups has inspired me to continually work for social change throughout my life. That is why I am thankful to be working for two more great organizations now, Cabrini Connections and the Tutor/Mentor Connection. They already do incredible work, but I know that even more can be done and hopefully my contributions will help facilitate that advancement. Thanks so much for reading and please stay tuned!